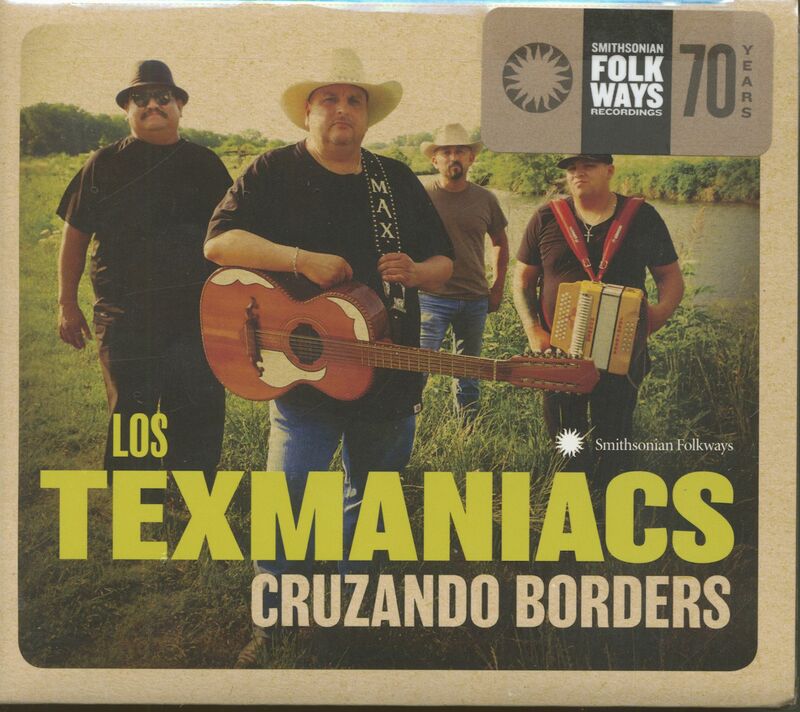 Tejano conjunto Los Texmaniacs was born to cross borders of all kinds—between past and present, traditional and creative, Spanish and English, country and Tejano, Texas and Mexico. Cruzando Borders embraces all of these, with ballads of the border, instrumental pearls of the past, and signature songs popularized by the Texas Tornados when Texmaniacs leader Max Baca toured with them. 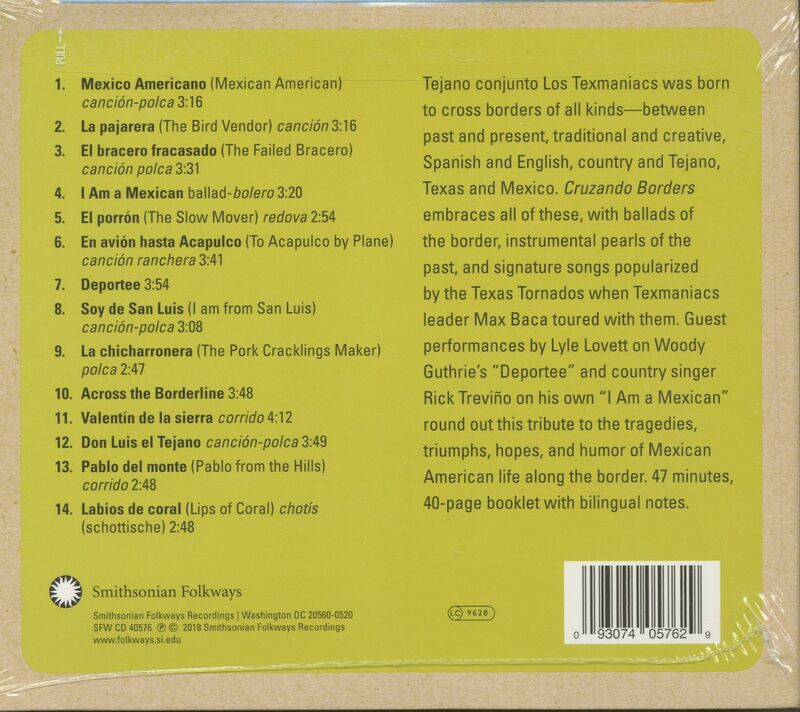 Guest performances by Lyle Lovett on Woody Guthrie's 'Deportee' and country singer Rick Trevino on his own "I Am a Mexican" round out this tribute to the tragedies, triumphs, hopes, and humor of Mexican American life along the border. 47 minutes, 40-page booklet with bilingual notes. 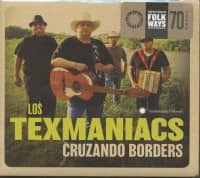 Customer evaluation for "Cruzando Borders (CD)"